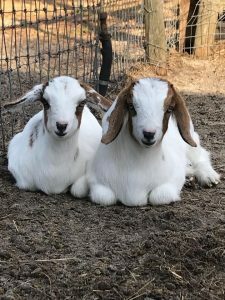 As we roll into our last week of goat yoga and snuggles on the farm we reflect back at all the smiles we put on peoples faces and all the hearts we warmed. 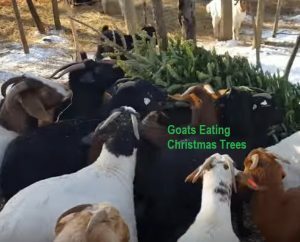 Goats To Go is a family-based business that uses our goats to better the community and improve the environment! 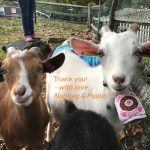 Whether it’s through interactions with our goat kids in on of our farm classes or using our goats for invasive and nuance species removal, we are happy to be able to support so many people, as well as local towns, organizations, and charities. This year we’ve support contributed over $3,800 in donations and fundraisers to local organizations and charities! Here is the list of who we’ve support this year! American Cancer Society, Angel Flight NE, Ashland Farm Assisted Living, Citizens Inn, Emmaus, Inc., Friends of the Georgetown Peabody Library, Georgetown Run/Walk Club & Social Fitness, The Leukemia & Lymphoma Society, Massachusetts Down Syndrome Congress, The Miss Pink Organization, MSPCA at Nevins Farm, New England Morgan Horse Association, Amesbury Public Library, Langley-Adams Public Library in Groveland, North Shore Women’s Rugby, Perfect Paws Pet Ministry, Recovery High School Northshore Education Consortium, Refugee Immigration Ministry, St. James Episcopal Church of Groveland, St. Vincent de Paul of Danvers, and Wakefield Food Pantry, Inc.
We are so honored to be able to help so many and put smiles on the faces of so many people. A lot of love and hard work goes into putting on these events!